Yesterday we examined the new USHL import player rules, the possibilities and opportunities it may create. Today. we will look at how it could impact Tier II and Tier III (pay to play) in the United States and Canada. The most immediate impact of the USHL decision to allow the addition of two Canadian born players to each roster without having them be import players will effect Canadian leagues. 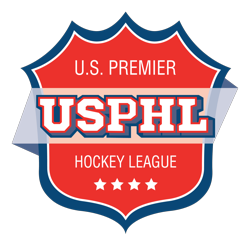 Without question, some players in the top Tier II or Junior A leagues that are USHL ready will leave for the USHL. Without USHL expansion, the American born players being displaced will either head up to Canada, or they will go to the NAHL and USPHL-NCDC. Until the USHL expands, the net effect on Canada should be zero. Should the USPHL-NCDC allow for six import players as expected, the combined effect on the Canadian player pool could be substantial. This rule implementation took place very quickly. It is reminiscent of the rule change that was pushed through to allow four import players for Tier I and Tier II. Those events saw the same import player limit rise for Tier II shortly after the implementation in the USHL. If that takes place again, the effects on the Canadian player market could be devastating. If Tier II, or the NAHL under USA Hockey is allowed two more Canadian players, it too would have enough additional players coming into the league to allow for expansion. What is interesting, and very telling is the pattern that can be seen in the rule making for the “tier system” in USA Hockey. Tier III has been denied the four import players that Tier I and Tier II are allowed to have. While Tier III overwhelmingly dominates the volume of junior hockey programs. 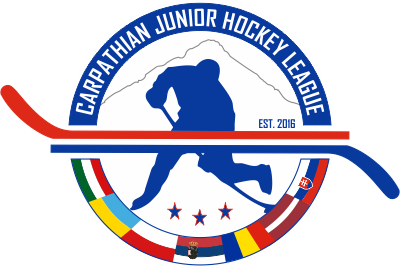 Tier III as many know and we at TJHN like to point out, is the largest group of struggling teams at the junior level when it comes to survival. A raise in Tier III teams ability to sign additional import players would likely create a break wall that would prevent many operations from folding. So why not help Tier III with those additional import player options? USA Hockey’s Junior Council simply doesn’t want to help Tier III. Some see Tier III as something they simply don’t want to be bothered with, but because of the rules, they are forced to deal with. This is why the movement to send the management and oversight of Tier III hockey to the youth council will not go away. Labeling it U-20 instead of Tier III is the first step in that process. Tier III is struggling in many respects. But an increase in import player numbers could almost over night solidify existing operations that struggle. The increase in import player numbers is also being seen by some and a ringing endorsement of what the AAU – UHU opted for in its leagues where Canadians are not import players. The net effect of the increase in import player numbers is not likely to be felt at the other levels until the USHL or Tier II expands in the United States. If that does happen though, it will likely cripple the Canadian Junior A or Tier II system, and could prove devastating to Tier III. Increasing import player numbers is a vehicle to expand product offerings. If this is not the direction, the increase does not make a lot of sense as it would strengthen the USPHL – NCDC option. One group it is sure to benefit are the Canadian born players looking to pursue the USHL. The USHL and USA Hockey are not in the business of developing Canadian born players or going out of their way to help another country when Canada doesn’t need help. This alone leads me, and many others to believe this rule change is only part of a larger plan.